Paul Weller performs with members of his regular band accompanied by a small orchestra, playing songs from his new record as well as tracks from his back catalogue. 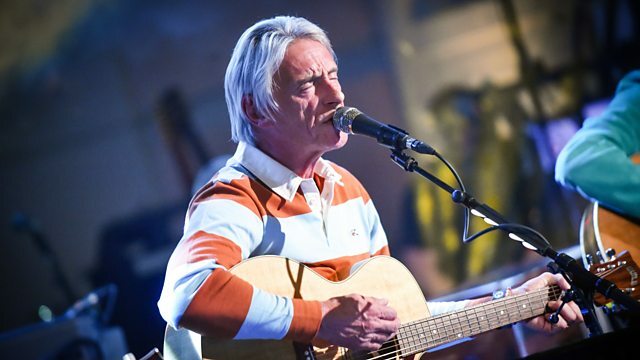 Recorded at the BBC Radio Theatre in London as part of BBC Radio 2's In Concert series, the iconic British singer and songwriter Paul Weller performs with members of his regular band in a more acoustic set up, accompanied by a small orchestra in the intimate setting within Broadcasting House. The set includes songs from his new and well-received record True Meanings, his 26th album, which sees him in a reflective and introspective mood having just turned 60, as well as classic tracks from his back catalogue.